The State Bank of India (SBI), India’s largest PSU bank, on Thursday, raised lending rates from 7.95 percent to 8.15 percent. SBI increases lending rates for the first time since April 2016. SBI is the first one to implement the MCLR based calculation for loan interest rates when MCLR is introduced an year ago. Just a day after SBI increases interest rates on fixed deposits, SBI increases lending rates. SBI term deposits for 7 to 45 days will earn an annual interest rate of 5.75 per cent, up from 5.25 per cent earlier. For one year deposits, SBI customers will now earn 6.40 per cent from 6.25 per cent earlier, while those deposits maturing between two years and 10 years will earn 6.50 per cent, compared with 6 per cent earlier. For senior citizens, the revised interest rates are 7 per cent on their deposits, up from earlier 6.50 per cent. Another state-run bank PNB also raised its lending rate, effective March 1, 2018. PNB raised its one-year MCLR rate to 8.30 per cent from 8.15 per cent. Many banks have been increasing their deposit and lending rates since the last quarter. While lending rates have been jacked up on an average of 5-10 bps by private sector lenders like HDFC Bank, Axis Bank, Kotak Mahindra Bank and Yes Bank since January, almost all the state-run lenders have been increasing their bulk deposit rates in the range of 15 bps to 125 bps. Get the loan from best of banks. 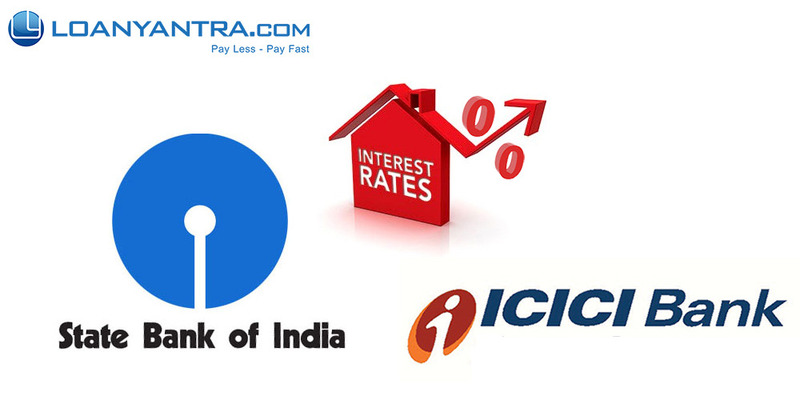 Know every bank’s lending rates and choose your favourite one. Be the first one to know about every lender in the banking sector. Our dedicated Customer Relationship Manager will help you through every step while you choose home loan for your dream home. I am a 26-year-old man, working in an MNC in Chennai. Last year I decided to buy a home for myself. Buying a home was my biggest dream and thanks to the lofty home loan policies that banks and HFCs are offering these days. I managed to buy a 2 BHK. Well, I succeeded in managing to bag loan from one of the government banks and got it at a reasonable interest rate. Now, I am a satisfied person and secured that few years down the line, I will own my house. But one thing that always boggled my mind was if I wish to prepay my loan then what is the nitty-gritty associated with it. Since I work in private sector, I don’t have much time to run around the bank to fulfill the formalities and the paperwork. Then, one of my friends suggested to go through LoanYantra, an online loan management company. Well, my association with LoanYantra proved to be a successful one and they gave great tips which definitely cleared the air that surrounded the idea of home loan prepayment. For many to avoid the hassle of running behind the banks, here I am sharing my knowledge of Home Loan Prepayment. What is Home Loan Prepayment? Home Loan Prepayment is paying an additional amount to the outstanding principal of the loan amount while you are in the Home Loan tenure. This additional amount is over and above the regular EMIs. This helps in reducing the principal outstanding which in return helps in reducing your EMIs and/or your home loan tenure. It might sound easy but there is a slight catch. Banks typically levy a prepayment charge of about 2 – 3% of the outstanding loan amount. This amount is charged if you are repaying above a certain amount or you are switching your bank. Although most of the banks don’t charge extra. Thus, it’s advisable that you enquire while you apply for your home loan about the prepayment charges as well. Home Loan Prepayment can be a bit tricky as some lenders include extra fees. In case of home loan, banks borrow funds based on the commitment for long period, these funds have to be re-assigned through credit channels for which bank has to pay additional cost. Thus, banks discourage the process of prepayment by leving an extra charge on the outstanding loan amount. To Prepay the Home Loan, it is advisable for the concerned person to attend. If not possible,the authorized person needs to carry a letter which says that the respective person is authorized by the lender to repay the loan. Note : RBI and the NHB have abolished penalty on home loan prepayment (home loans with flexible interest rate). So banks usually do not levy extra fess. But conditions apply. Home Loan Prepayment Vs Tenure and EMI. Home Loan Prepayment reduces the outstanding principal amount. So, this inturn reduces your EMI or tenure. It is always wise to calculate and choose. Loanyantra’s Tip : It is better to reduce the tenure and keep the EMI constant. When you have an increment in the salary, you can increase the EMI which will reduce the tenure even further. Carry your ID proof (Aadhar is the most preferred one). Carry your chequebook in case you need extra. Also remember to mention your name, account number, home loan account number behind the cheque when you issue. Collect all your previous cheques if you wish to change your EMI. A proof of source of funds for your Home Loan Prepayment. Make sure that you update your CIBIL database after home loan prepayment as it helps in reducing the outstanding balance and also helps in improving your credit score. LoanYantra is committed to making a difference in the approach towards availing home loan and paying it back. We are known fro absolute customer satisfaction and we work on it continuously. Stay connected with us on www.loanyantra.com and get a planned calender, timely alerts and valuable suggestions on Prepayment of your Home Loan. Axis bank offers one of the best attractive home loan interest rates in India. Axis bank home loan interest rates make way for those customers looking for a qualitative service and low interest rate. 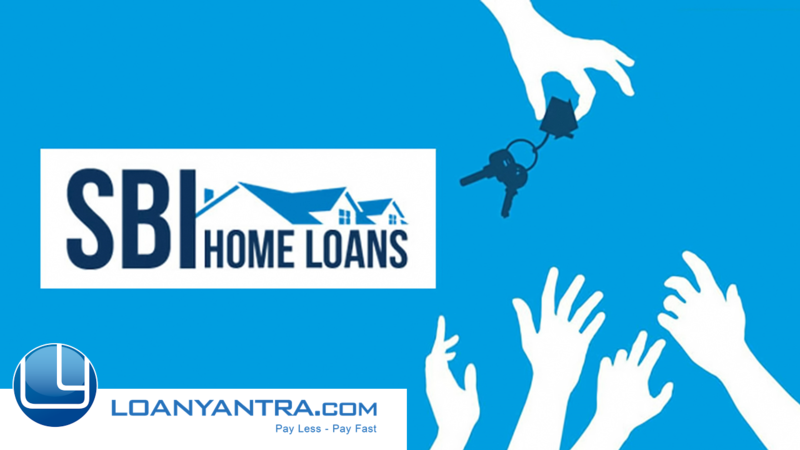 Loanyantra.com, a pioneer in online home loan management system, helps you avail loan from the attractive products and attractive Axis bank home loan interest rates. Trust and relax as loanyantra.com takes care of every detail from the time you look for a home loan option till you complete your loan. Infact, loanyantra.com helps you close the loan at the earliest possible or helps you reduce the EMI when you are in financial crisis. Loanyantra.com makes people aware of the home loan updates and fills the gap between the customer and the loan lending institute. Know more about Axis bank home loan interest rates. Transfer your home loan to Axis bank without any hassles. No prepayment charges for paying off loans before the due date (only for loans availed at floating rate of interest). Premium banking customers can contact their Relationship Manager for details of special benefits. Repay your loan over a longer tenure. Repay your home loan in smaller EMIs, over a longer tenure, depending on the situation of your finances. Applicants should be above 21 years of age at the time of loan commencement and up to the age of 60 or superannuation, whichever is earlier at the time of loan maturity.You can check the amount you need to pay as EMI with the home loan EMI Calculator. Professionals (i.e., doctors, engineers, dentists, architects, chartered accountants, cost accountants, company secretary, management consultants only) can apply. Applicants should be above 21 years of age at the time of loan commencement and up to 65 years or less at the time of loan maturity. Proof of Residence Latest Electricity Bill/utility bill/ piped gas bill/ telephone bill (Not more than 2 months old)/ Passport/Aadhar card/ Voter ID/ Driving License. Loan amount upto Rs 30 lacs MCLR + 0.20% 8.35% p.a. Loan amount upto Rs 75 lacs MCLR + 0.50% 8.65% p.a. Loan amount above Rs 75 lacs MCLR + 0.55% 8.70% p.a. Loan amount upto Rs 30 lacs MCLR + 0.25% 8.40% p.a. Do not miss a chance to lower your loan repayments when you have smarter options to choose from. Move your Home Loan outstanding balances to Axis Bank, pay lower monthly installments and enjoy the savings for the other things in life that really matter to you and your family. Avail upto 100% top up at home loan rates. Always avail home loan at lower interest rates. We help you pay less and pay fast. Get along with us to manage your home loan till you finish the home loan. If you want your home loan from Axis bank, we help you to be and that too for a lesser interest rate. The moment we receive your missed call, our relationship manager will call you and will explain you about all the details, every minute one too. We will get you along a smooth ride to get you into your favourite bank at a lower interest rate. That’s not the end..we take care of your home loan till your loan closure. You can always get back to us when you want to balance transfer or if any queries related to your home loan and the interest rates. We will constantly alert you about the market trends and the interest rates. The choice is yours and we can serve you better than any other. Can I avail a loan against another property if I already have a home loan from a bank? Yes you can avail Loan Against Property for other loan provided you meet the eligibility requirement. If you are falling short of eligibility, how do you increase it ? In case, if your spouse is working to increase the eligibility you can add the spouse as a co-applicant to increase the eligibility. In case if you have rented your other house, then you can show rental income and increase your eligibility. In case if you have a small loan where in you are paying high amount as EMI, then try to close it to increase the Eligibility. In case if your tenure of existing home loan is less than maximum tenure you are eligible, then increase the existing home loan tenure to get more loan. Last but not least, incase if you are paying higher interest rate then the market rate, first thing to do is to correct the EMI to existing rate and reduce the EMI. This would also increase your loan eligibility. Your Salary : You should be earning enough to pay the EMI + at least 40% of earning for your living expenses. All banks will not approve all the properties. Author Vijayananda ReddyPosted on April 5, 2017 May 5, 2017 Categories BANKS, Home Loan, Hot Tips, LoanyantraTags Home Loans2 Comments on Can I avail a loan against another property if I already have a home loan from a bank? Which bank gives instant approval for home loans? Most of the bank will give you instant sanction of Home Loan based on your Eligibility. This doesn’t mean you will compulsory that you will get a home loan for that property. If all are in place, then banks you issue a Sanction letter. Then you can go with legality Check and technicality check of the property you have selected. If everything is clear then you would get a loan. In case any of it fails then you have sanction letter and you have 3–12 months validity based on bank. You can search for one more property and continue with the loan. Banks also have a Pre-approved loan concept. Where in banks would issue a sanction letter and later you have certain time to finalize the property. You have to pay the processing fee. It has 3–12 months validity so you have to finalize the property with in that span or else you need to submit all the documents again. Trust me selecting the first home is not so easy and not so fast unless you are lucky. Most of the case you might have to submit the KYC documents again. I would recommend you check your eligibility on home loan comparison portals like LoanYantra | Get Home Loan Online and then you select the property. Instead of going for pre-approvals. Author Vijayananda ReddyPosted on February 10, 2017 April 29, 2017 Categories BANKS, Home Loan, Loanyantra, Real EstateTags Home Loan, Hot TipsLeave a comment on Which bank gives instant approval for home loans? SBI Home Loans no processing fee for New Home Loans and for Balance Transfer till 31st March 2017. State Bank of India to boost the volumes of Home Loan business for the last quarter of the 2017 financial year, SBI had launched a special campaign for Home Loans. Under the Home Loan campaign, Processing Fees on all Home Loan proposals(both takeover and new) sanctioned and partially/fully disbursed upto 31-Mar-2017 will be filly waived. The waiver of the processing fee will also be made available to proposals sourced upto 31st March 2017, provided the loans are partially/fully disbursed latest by 30th April 2017. With the decrease in the MCLR for 1-year to 8.00% was itself a big boost to the Home Loan customers. But increase of the margins from 0.10% to 0.60% has added heavy burden to the home loan seekers. Most of the customers are still seeing the fall in the Home Loan rates from 9.10% to 8.60% which is like a mirage which is a short term profit and long term loss compare to the customer who had taken loan in Dec-2016. Let me explain in detail, Before I tell you, why customer who had taken home loan in Dec-2016 is better rate then present. I would like to explain, how the interest rate is set. Interest rate consist of 2 components. What is 1-year MCLR ? When we avail a loan with 1-year MCLR, it’s 1-year Fixed loan. Which means any changes in MCLR during that 12 months, your home loan will not be affected. For example if you availed home loan in Dec-2016 your interest rate change will be only in Dec-2017. So any change , decrease of MCLR or increase of MCLR, your home loan rate will not change during this 12 months. In Dec-2017 your home loan rate will get updated based on the 1-year MCLR during Dec-2017. Again next change will be next year Dec-2018 and this would continue till closure. What is the Margin Rate ? Margin Rate is what Banks take as the operational costs. It gets fixed when you have taken. For example if you had availed home loan in Dec-2017 your home loan should have been 9.00% (8.90 + 0.10) your margin should be only 0.10 %. So your Interest rate would be 1-year MCLR + 0.10% for ever. Year 1-Year MCLR Customer who had taken in Dec-2016 time frame. Customer who had taken in Jan-2017 time frame. It would continue till the closure of the loan. What we are seeing right now is, Short term profit and long term loss. People who convert to new rate without the long calculation they would start to pay every year 0.50% more than December rate. 1-year-MCLR had decreased drastically only due to demonetisation. Hopefully we need not stand in long Queues every year. Mostly its once in lifetime event. Instead of banks making profits due to demonetisation drive they should have passed on the benefits to the end customers. Hope to see cut in the Margins in coming days. Happy home Loans. Is floating rate of a home loan always higher than fixed rate? To start of with its always other way round. Fixed rate is always higher than the floating rate. Why do the bank take higher rate for Fixed compare to Floating rate ? Banks normally charger 0.50% to 2.00% more than the Floating rate based on the fixed period tenure. You can opt for 2-years fixed, 5-years fixed or 10 years fixed or fixed till closure. Based on the how fixed tenure banks would charge higher than the floating. Banks higher higher so that they are covering the risk in future. If the REPO rates go up then banks have at least don’t make loss on your loan. For example people who have availed the loan say in 2000 with fixed and still holding it would be paying only at say 7.50% . To cover this risk they charge more. When do you opt for Fixed rate Home Loans ? If the rates are upward trend then you can go for Fixed Rate of Interest. Right now the interest rates are downward trending so be on Floating and convert to Fixed later. If you want to be more secure and don’t want to be affected by rate changes then opt for Fixed rate. In case if you can manage your loan well , i.e make the necessary changes in the loan by making part-payments and correcting to new rates then go for Floating rate. Disadvantage of Fixed Interest rate Home loans? If you want to refinance from a different bank, because they are giving a better rate then you might have to pay 2% as penalty on the outstanding amount. Where as in floating rate, there are no penalty if you are refinancing. If the rates are downward trending then you are at loss. My suggestion would be if the loan amount is small or the tenure of loan is small then go for Fixed rate of Interest for Home Loan or else its good advice to go with fixed rate of interest and manage it well. Author Vijayananda ReddyPosted on January 15, 2017 April 29, 2017 Categories BANKS, Home Loan, Hot Tips, Loanyantra, Real EstateTags Home Loan, Hot TipsLeave a comment on Is floating rate of a home loan always higher than fixed rate?